A scooter ride in India is always eventful; the details of the events just depend on where you are. 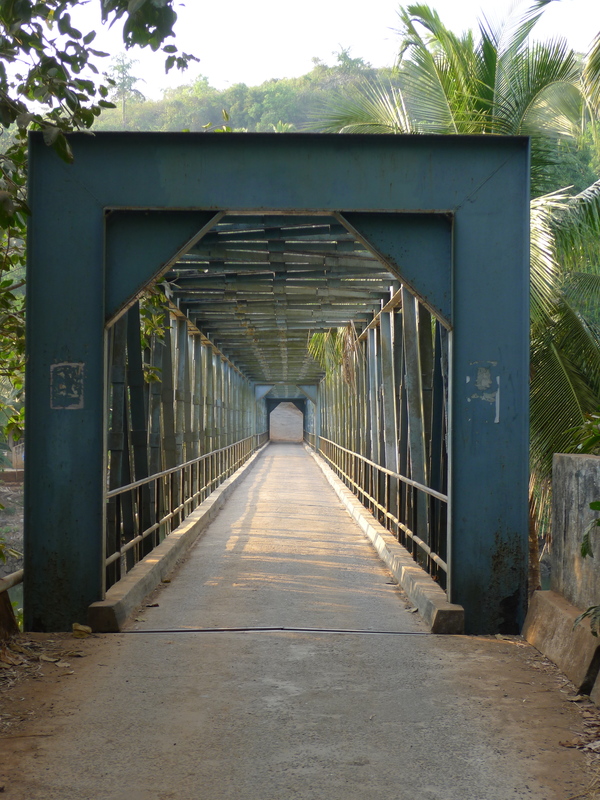 In southern Goa the towns tend to be small and the streets open but curvy, making them the ideal place for first time drivers on the subcontinent. Of course, that doesn’t mean it’s easy sailing on a scooter. In one 30 minute drive up the coast, we’ve encountered on the road no less than: 32 cows of various colors, 7 chickens, a gaggle of school kids in blue & brown plaid uniforms, at least two dozen dogs in every imaginable state from newborn to nursing, 2 or 3 roaming pigs, a handful of red faced monkeys, and innumerable pedestrians – half of which were carrying something exceptionally large on their head. Luckily, the reward for all this swerving and dodging was a cliff side, palm tree curtained, windswept view of what was quite possibly the most beautiful sunset, ever.